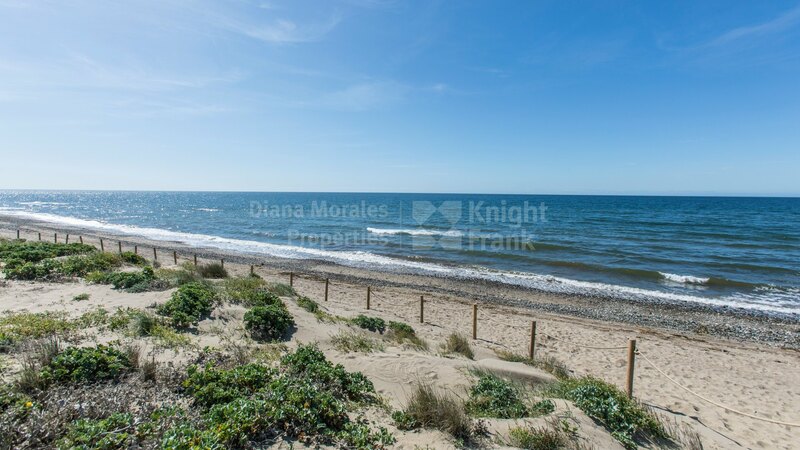 Please, send me more information about ref DM4221 in La Reserva de los Monteros, Marbella East or similar properties. 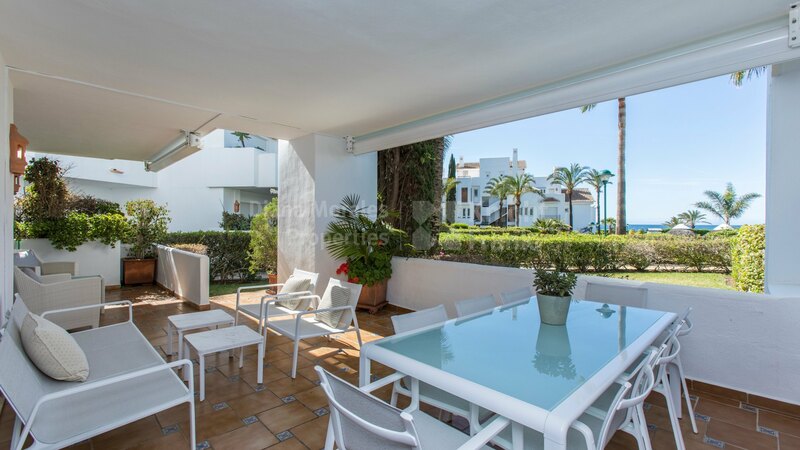 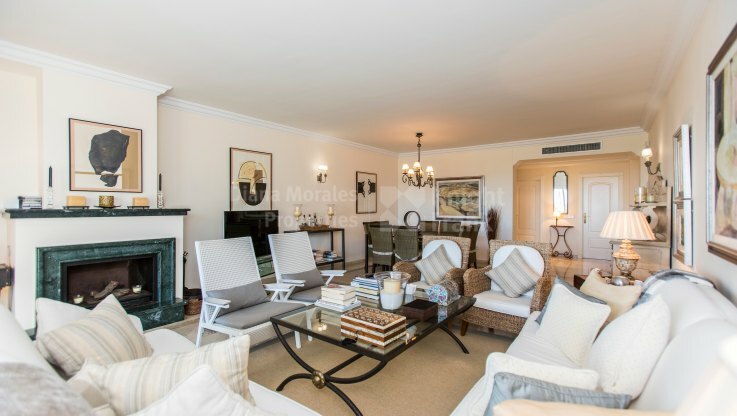 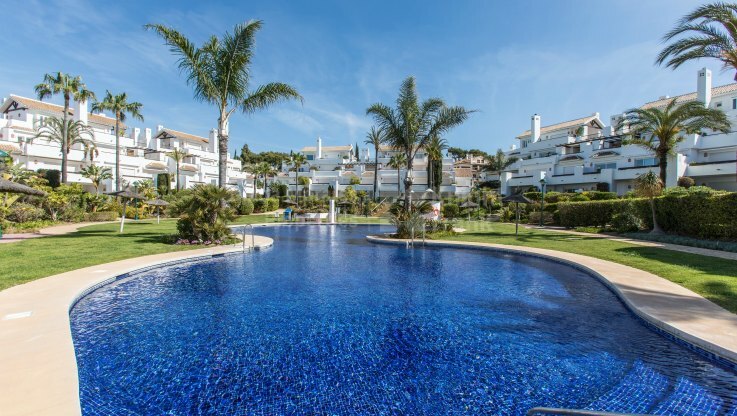 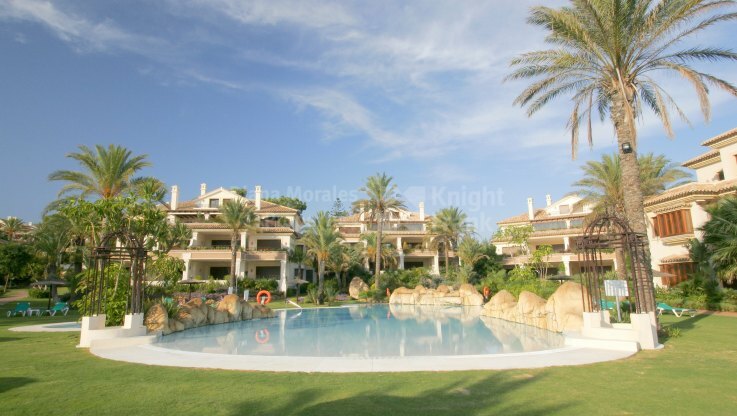 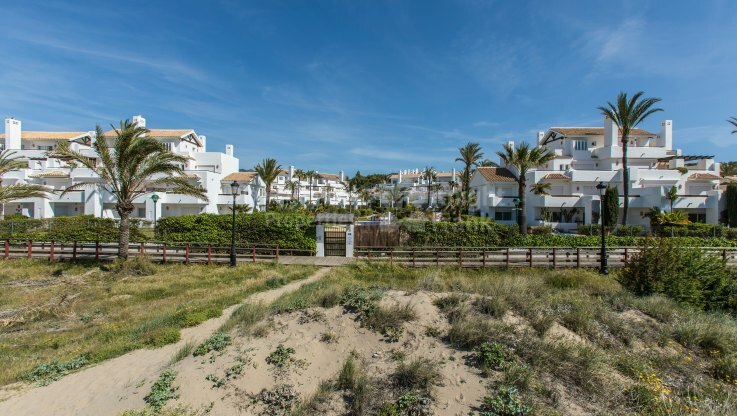 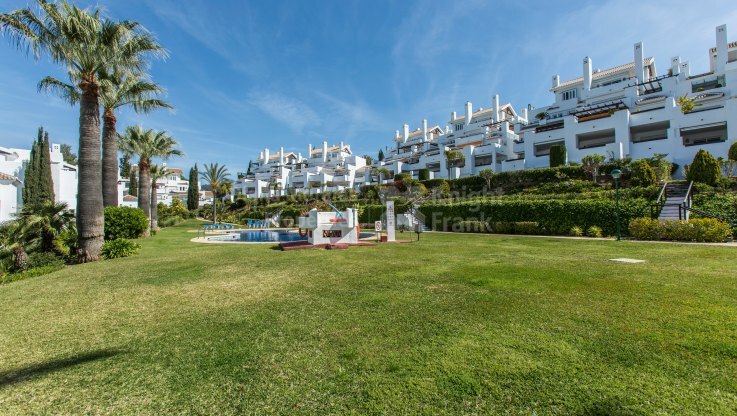 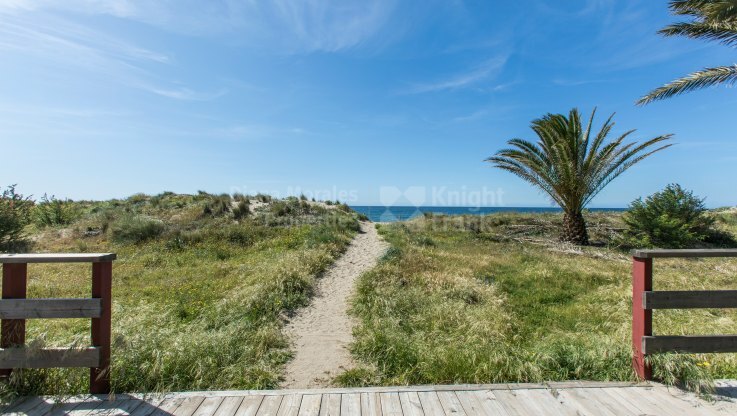 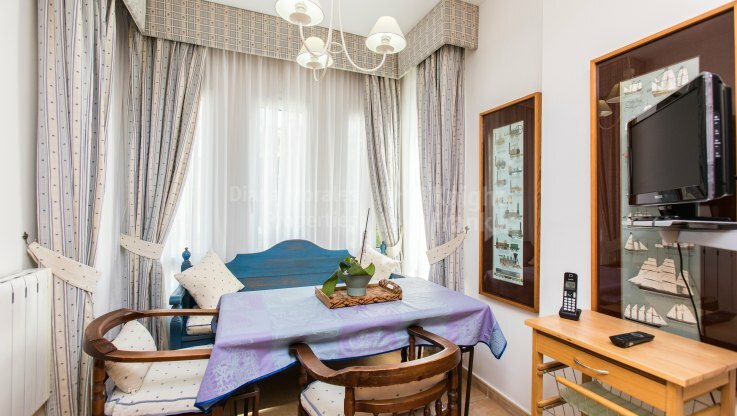 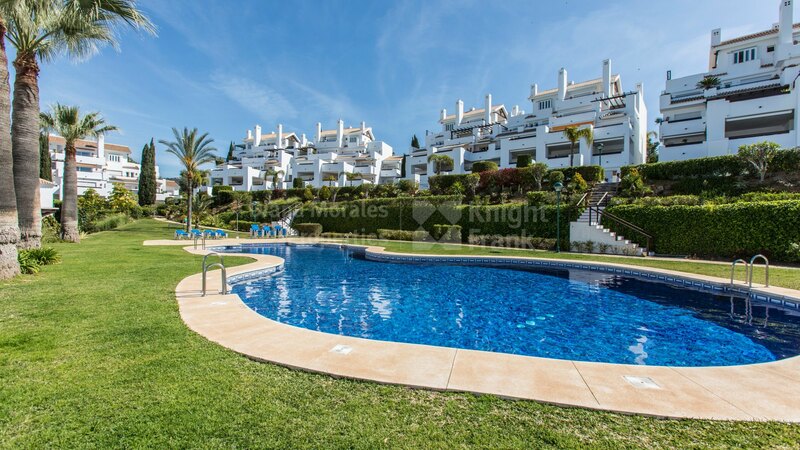 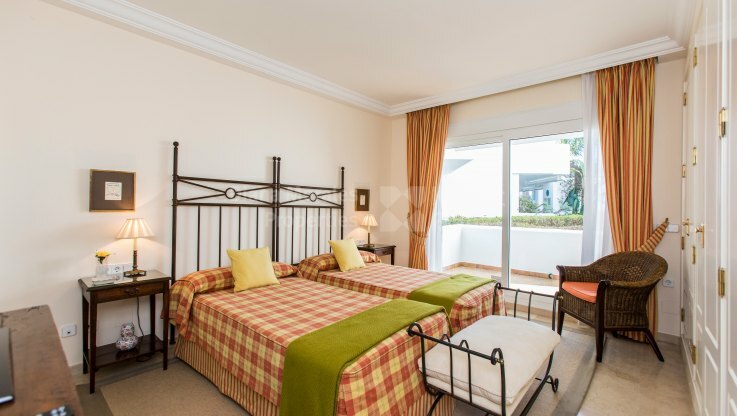 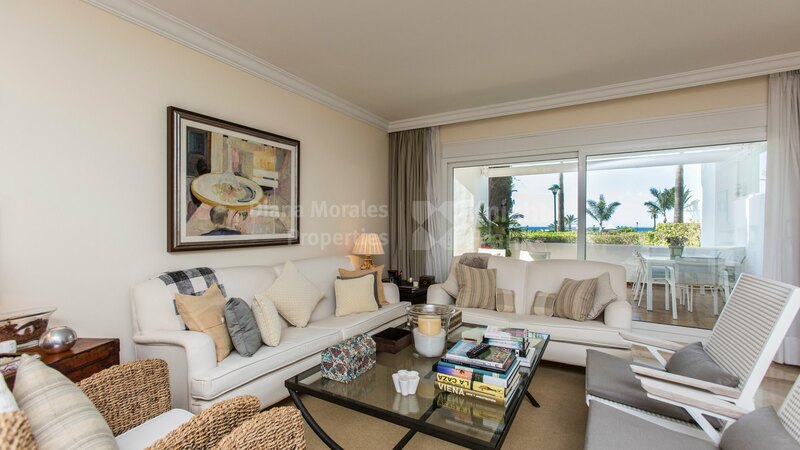 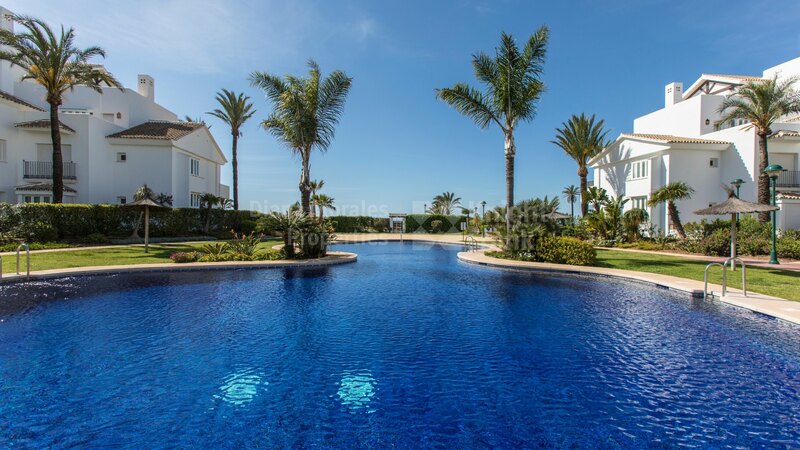 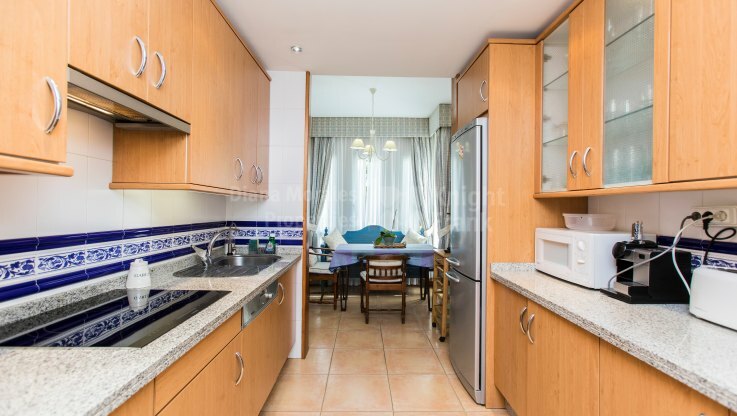 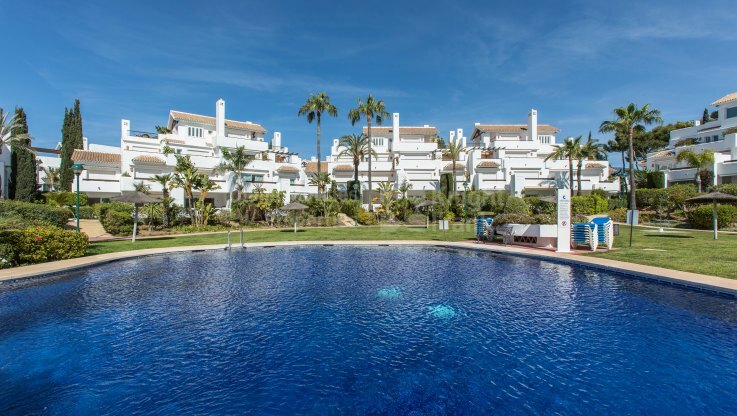 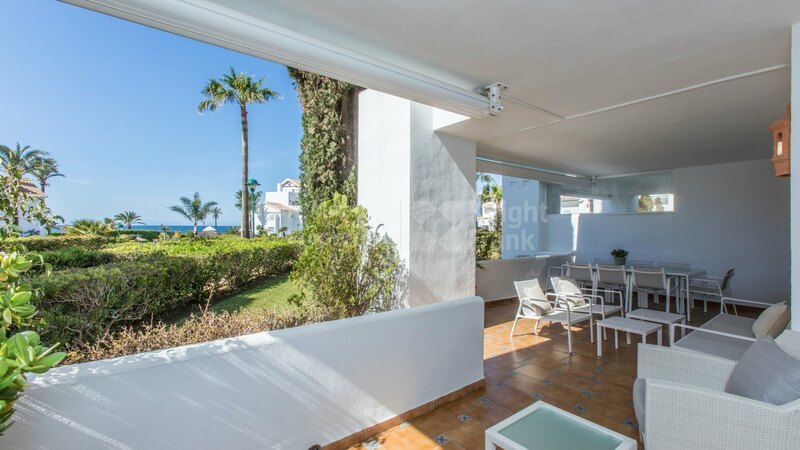 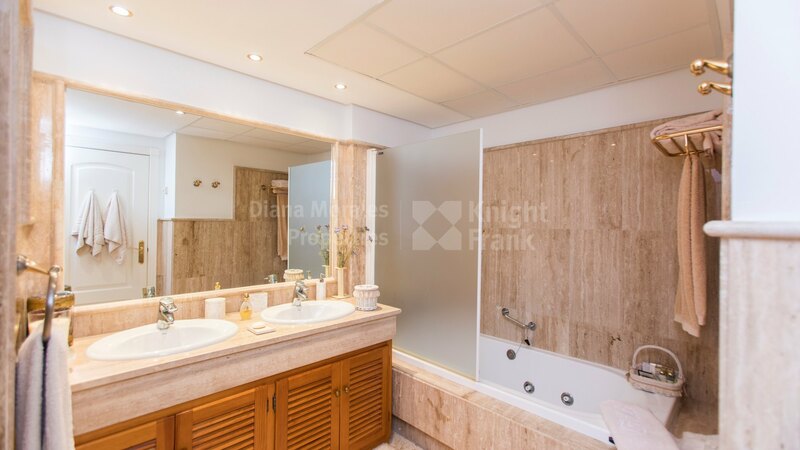 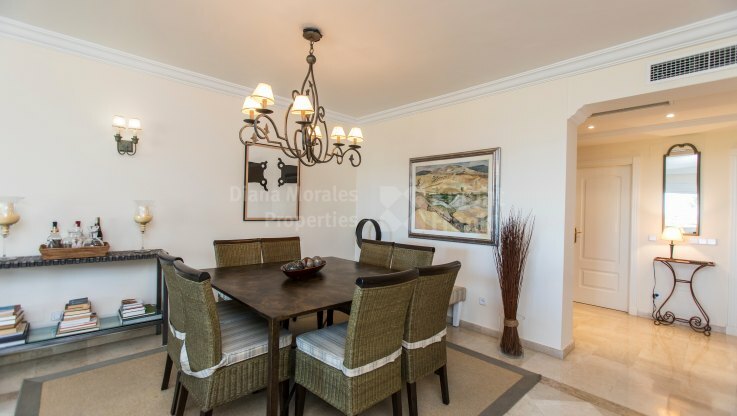 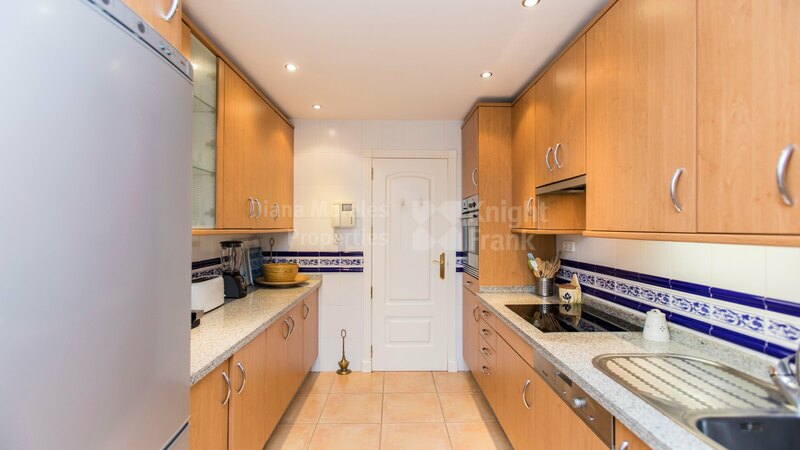 Gorgeous and impeccable ground floor apartment situated in a fenced first-line beach community with 24-hour security service within the prestigious location of Los Monteros Palm Beach, next to Rio Real golf course. 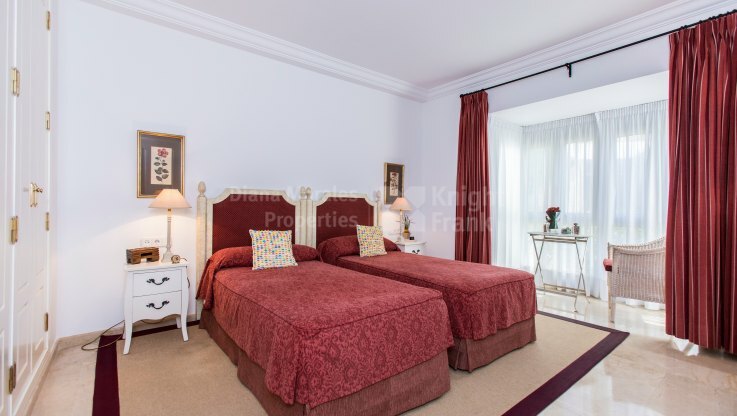 This south facing garden apartment consists of an entrance hall with a guest toilet, fully fitted eat-in kitchen with adjoining utility room. The accommodation comprises a spacious lounge/dining room warmed by a fireplace and with direct exit to the terrace and a large private garden with sea views, 3 bedrooms with fitted wardrobes and marble shower rooms. Two other bedrooms have built-in wardrobes and marble bathrooms with bathtubs and exit to the terrace. 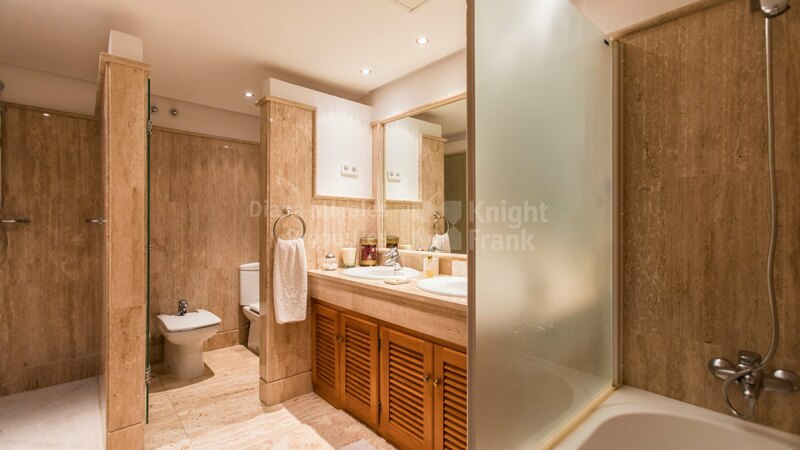 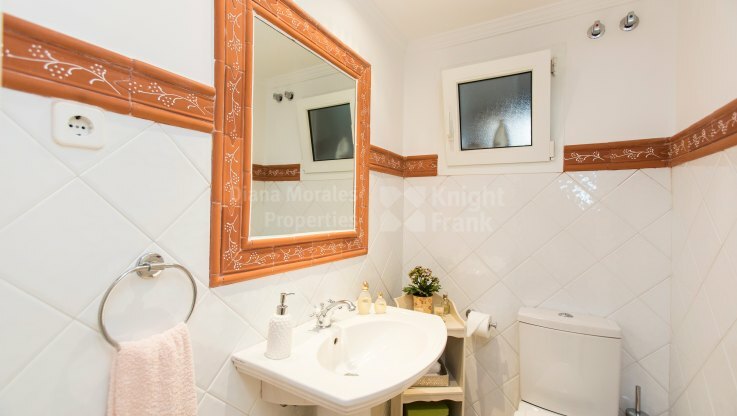 Central air conditioning hot/cold, underfloor heating in bathrooms, alarm system, marble flooring throughout, 2 parking spaces and an ample double height store-room in the underground garage are some of the fine points which will make your life more comfortable in this apartment.